Meet the LeBaron family. They are members of The Church of Jesus Christ of Latter-day Saints and love singing together. Jordon LeBaron says that music has become a defining characteristic of their family. Having musically gifted parents, he and his siblings grew up performing at work functions and in sacrament meetings, and three of the children went on to study music in college. They also have spouses who are musically inclined. 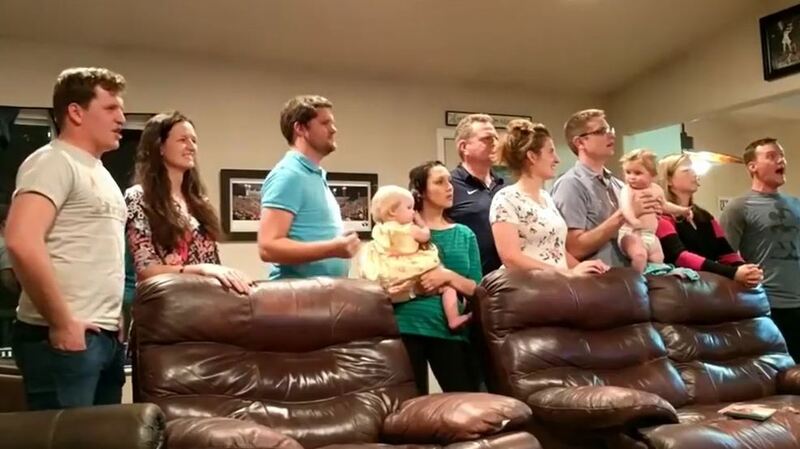 The family of five siblings, spouses, and children made national headlines last week when the oldest son, 33-year-old Jordon LeBaron who lives with his wife and three children in St. George, posted a video on Facebook of nine of his most talented family members (the five brothers and sisters and spouses) singing in the living room of his parents’ home on Easter Sunday. The song that they sang was “One Day More” from the musical Les Misérables, which is based on a French historical novel by Victor Hugo, first published in 1862. The video immediately resonated with everyone who viewed it and it has since gone viral. That is something that none of the family members could have ever expected. Broadway World proclaimed, “This family is the embodiment of every theatre kid’s dream: a family full of talented theatre lovers who can belt out Broadway classics together.” Jordon, who plays the part of Marius, captioned the video, “Anyone looking to do Les Misérables for their next show? Better yet…anyone looking for an entire cast?” The other characters performed by family members are: Valjean – Jayson LeBaron, Cosette – Angela Garrett LeBaron, Eponine – Karina LeBaron, Enjolras – Juston LeBaron, Madame Thenardier – Heidi LeBaron Garn, Thenardier – Gerald J LeBaron, Spencer Garn, Javert – Landon LeBaron, and Ghost of Fantine -Kaitlyn Hipwell. The video post has received more than 2,800 shares and more than 262,000 views. It has also been featured by other news outlets such as the Today Show, People, Inside Edition and the New York Post. However, for the LeBaron family, this video is about more than the song — it’s about how music connects families. Dennise LeBaron, the matriarch of the family, told KSL after the video went viral that performances like their Easter karaoke session are common. She said, “Singing is the glue that has held our family together during the tough times,” like daughter Holli’s death in 2002, and son Landon’s autism diagnosis. Landon is currently serving a service mission at the LDS Church Office Building. 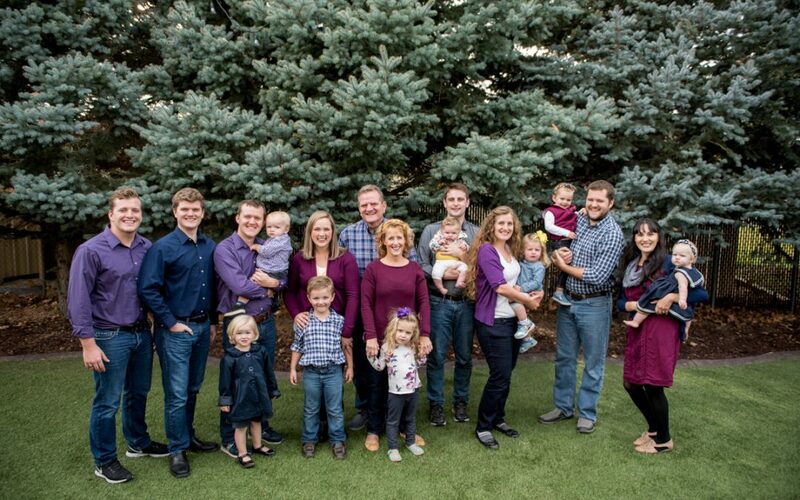 To learn more about the LeBaron family, please subscribe to their YouTube channel and watch for more videos to come. Also, visit their new official website.